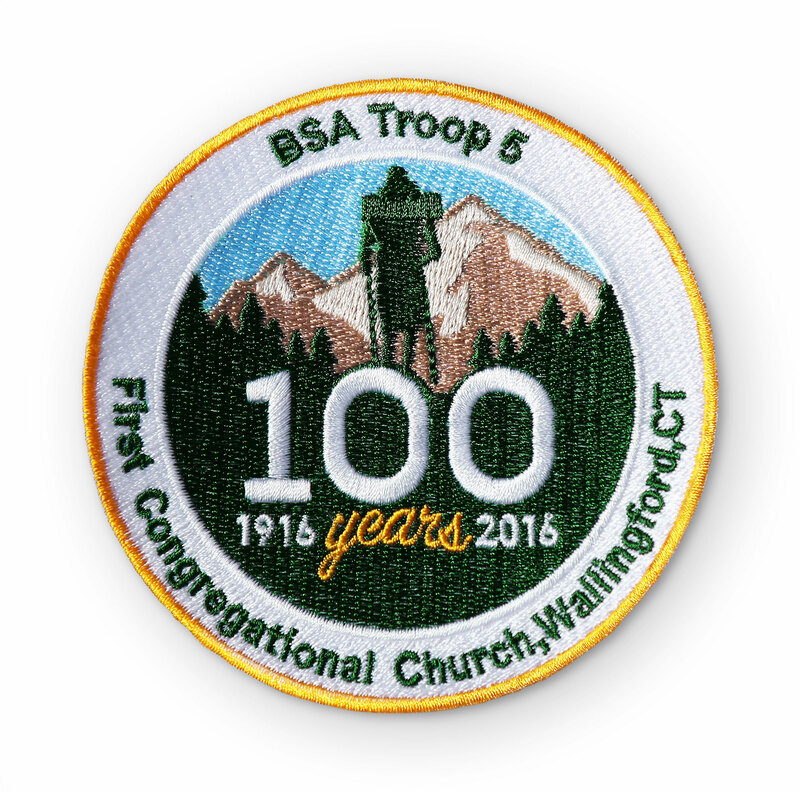 Boy Scouts of America Troop 5 was looking for a patch to celebrate 100 years of shaping young men in Wallingford, CT. As one of the most active troops in the area, I wanted to pay proper homage. One of the first ways I felt I could do this was by using scoutings most iconic colors: green, white and gold. 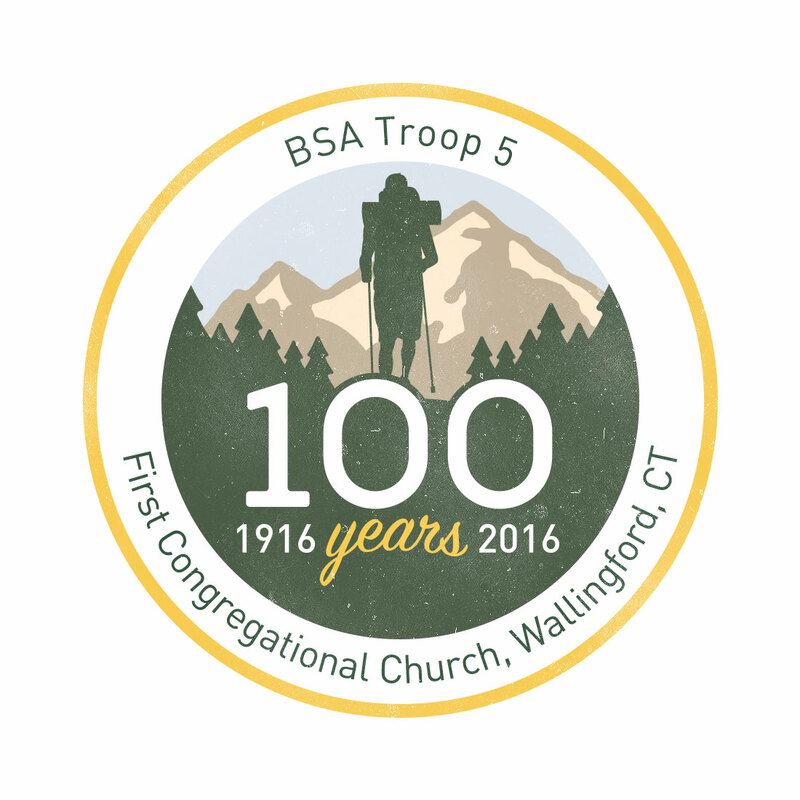 The next step was to take these colors and illustrate the strength that scouting resembles. 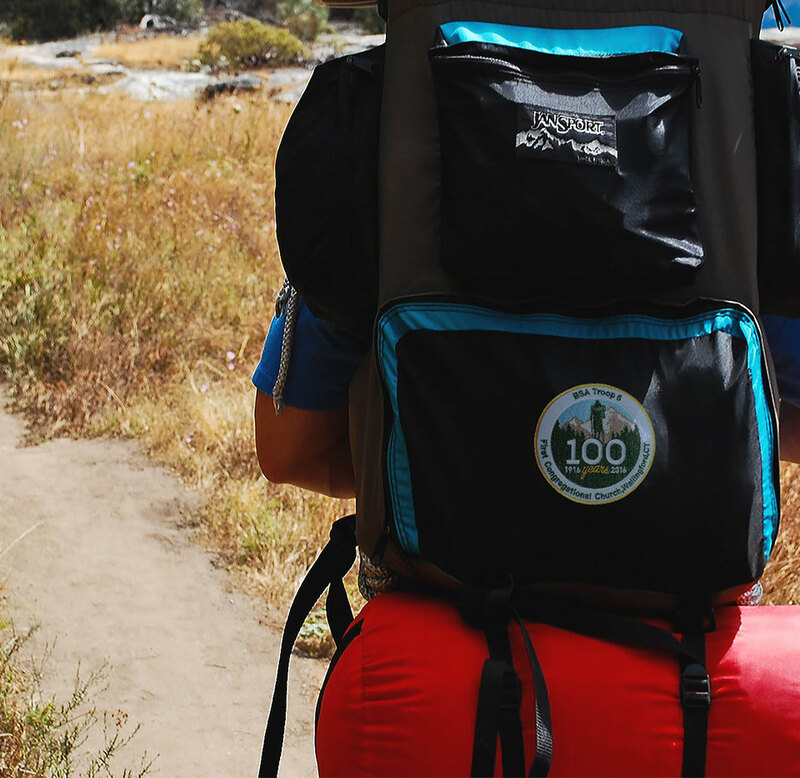 I couldn't imagine a more powerful pose than a scout backpacking through the wilderness. 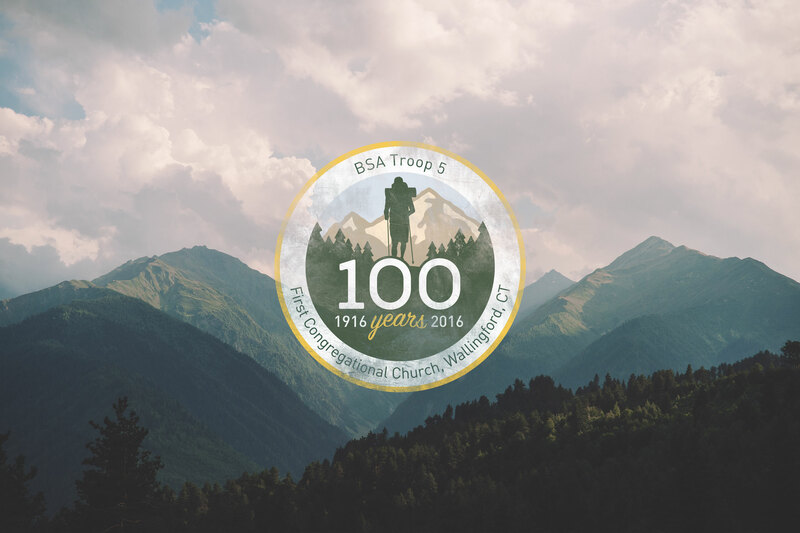 This patch was revealed at the troop's centennial dinner with current and past scouts. 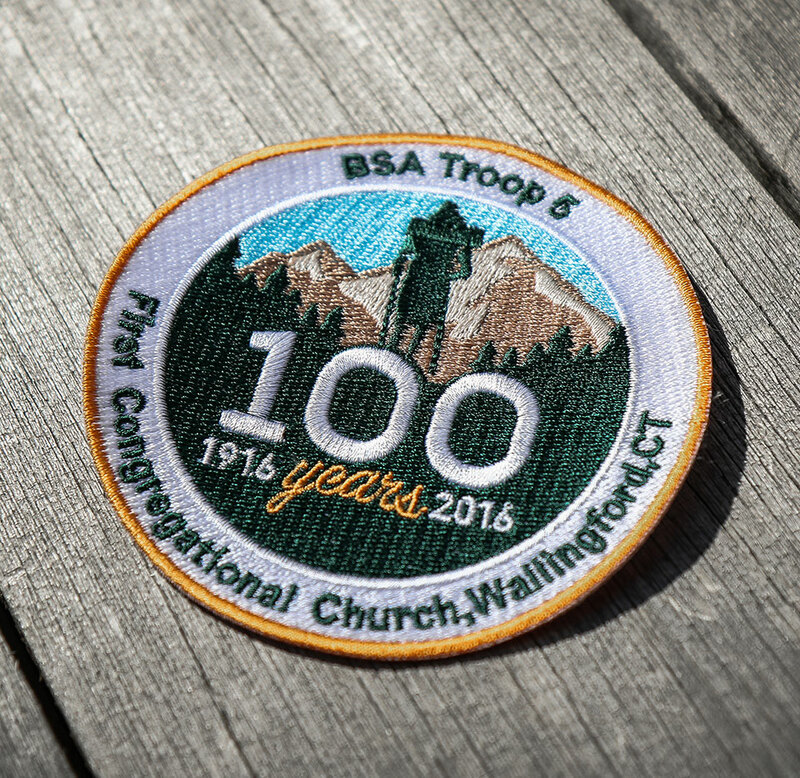 To this day, each scout proudly wears this sewn to their neckerchief.